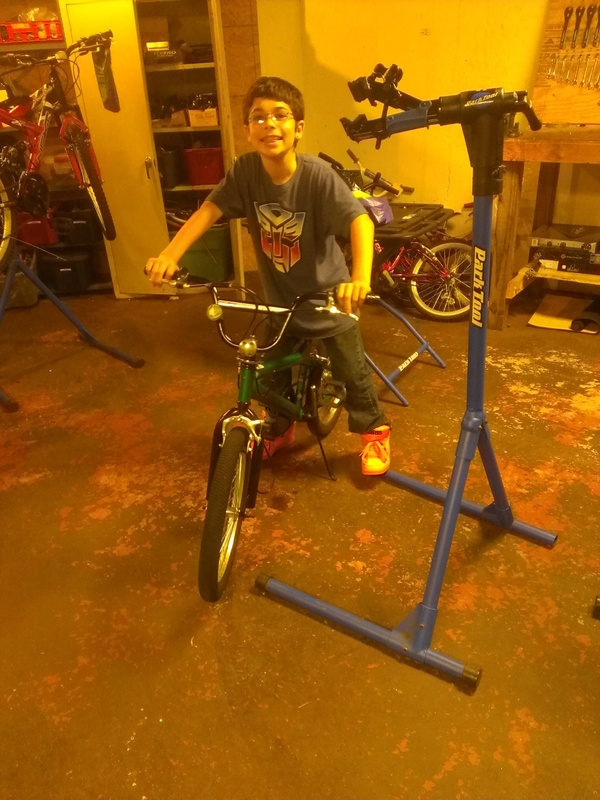 After completing another bike for the community, Jean is giving his previous rebuild to a family member and built this green bmx for himself. Nice job, Jean! 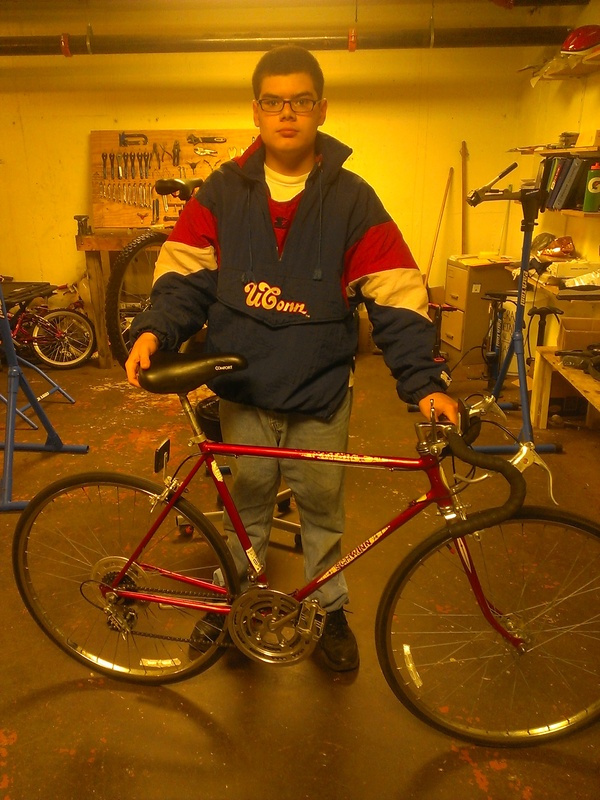 This is Shane’s Schwinn Varsity, a classic road bike. Congratulations Shane on the rebuild! 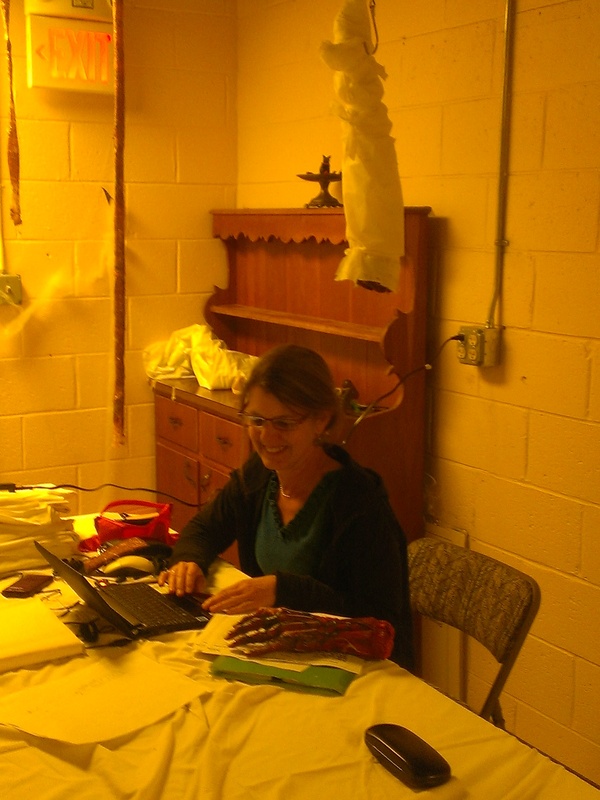 The downstairs conference room at the Nasson Community Center was included in the Haunted House display, so our volunteer Celeste had to enter data amid severed hands, hanging intestines and bloody surgical tools. Thanks for putting up with the mayhem Celeste!